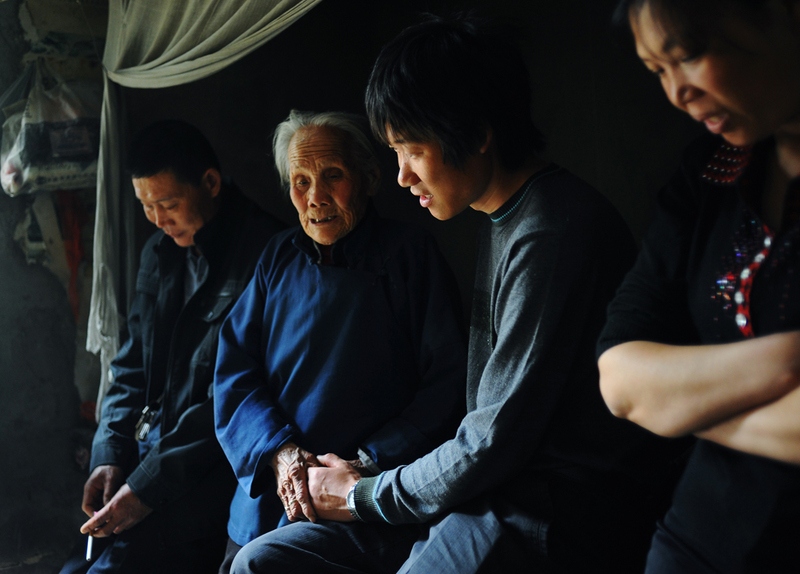 Li Chuan-hua meets his grandmother Zhao, her complete name unknown, (87) for the first time in 3 years. They talk about Li's father, Li Shi-de, passed away due to a stroke at the age of 73 just on the day before he arrived home from Japan. Li's elder brother, Li Chuan-zeng (42),far left and elder sister, Li Chuan- yan (39),far right, listen in silence. Lin Yi-City Shandong Province, China.